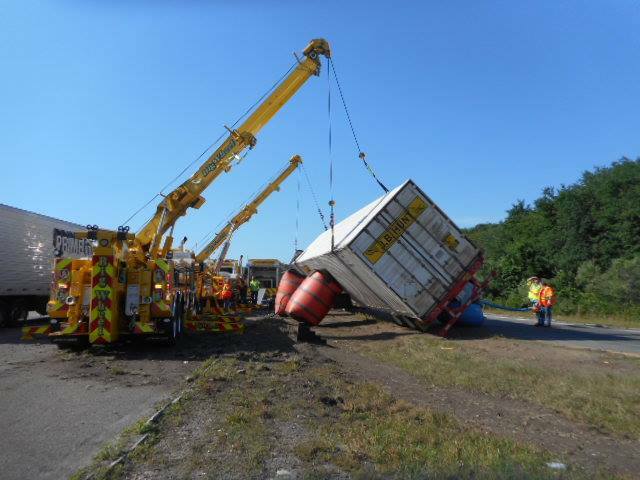 While the vast majority of our business is related to emergency response calls, such as major truck rollovers and accidents, Big Wheel Towing & Recovery also provides general towing and assistance calls. 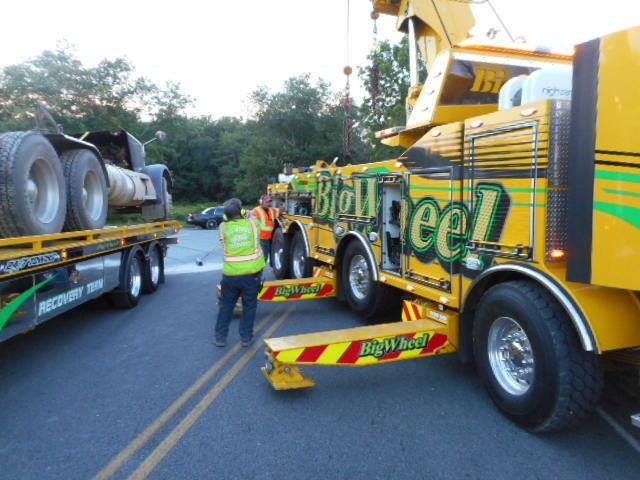 At Big Wheel Towing & Recovery, we specialize in professional towing and recovery services. We have the knowledge, training, experience, and equipment necessary to get the job done in any situation. 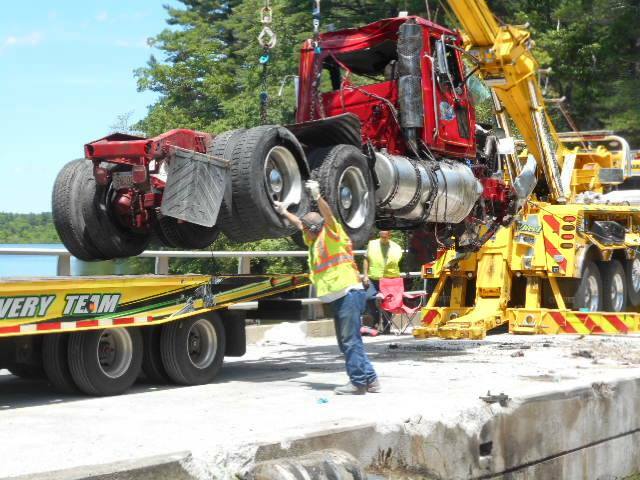 Big Wheel Towing & Recovery is one of the largest, complete towing and recovery companies in New England. With over 30 years of experience, we specialize in heavy-duty towing and recovery services. We have a large variety of all types of heavy-duty trucks and equipment in stock for sale, as well as an extensive used parts inventory ranging from all kinds of large truck motors, transmissions, rear ends, and cab and suspension parts. 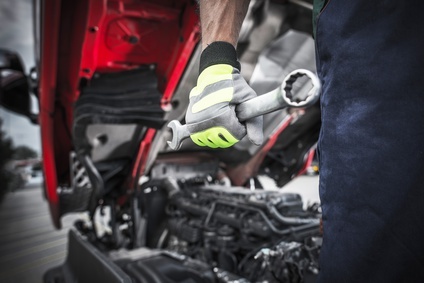 We also have a large heavy-duty truck repair shop as well as a body shop with paint booth designed to handle big trucks.